A good bedtime routine is just as important for moms as it is for the little ones in our care. 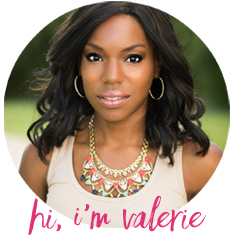 Quality sleep is life-changing, and I’ve got a few simple tips to help you prepare to rest, beautifully, from the inside out. 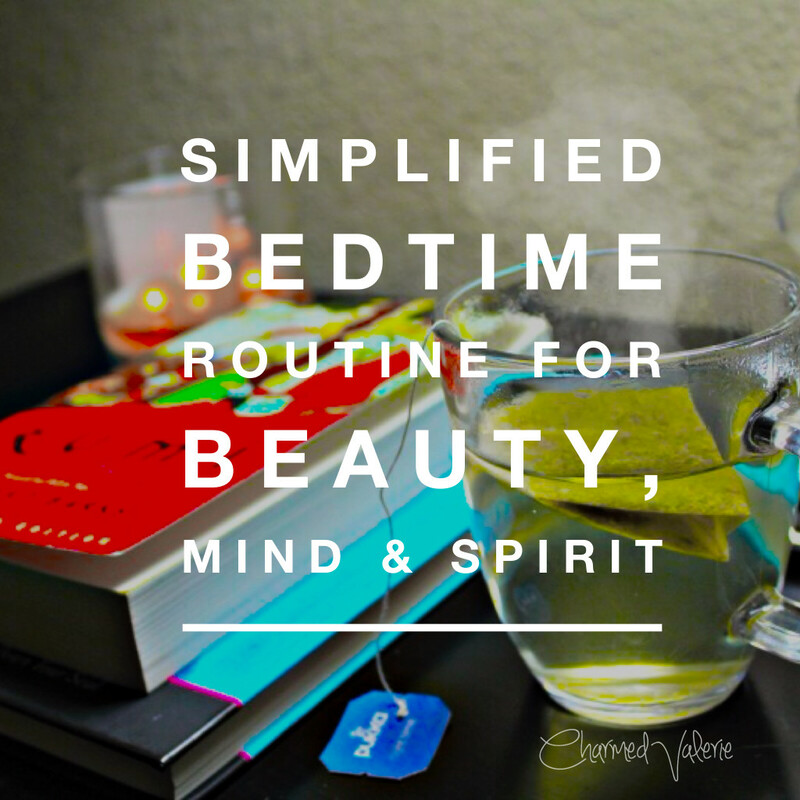 My bedtime ritual never had much structure until after I had kids–when I desperately needed to end my days with relaxation and self-care. Ideally, I’d love a candlelit bath, 20-minute meditation/journaling sesh and 5-step skin care routine EVERY night but that’s just not reality at this season of my life. I’ll take what I can get and most days I gift myself at least 10-20 minutes of time to unwind. The following is a simplified/edited version of my bedtime routine. Set the mood. I try to end my screen time (television/computer/phone) about two hours before I plan to go to bed because I read somewhere that it helps you fall asleep faster. 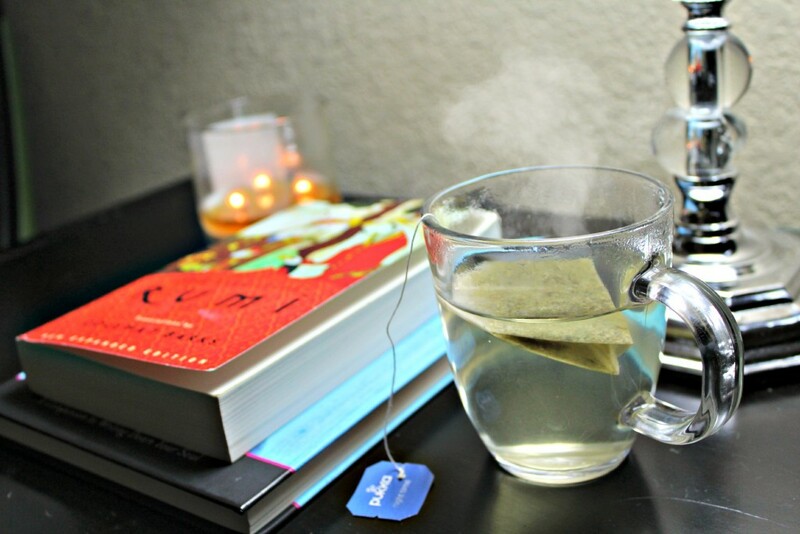 Lighting a candle sets the tone for relaxation as does my cup of nighttime tea and soothing music. A happy ending. I like to begin and end my days on a positive note with something to inspire me. I normally read (and re-read) self-improvement books/articles and poetry. I also think about what I’m grateful for, what I plan to wear and what I’d like to prioritize for the next day. Happy thoughts, as I drift off to dreamland, are essential to me and my sleep quality. Wipe away the day. 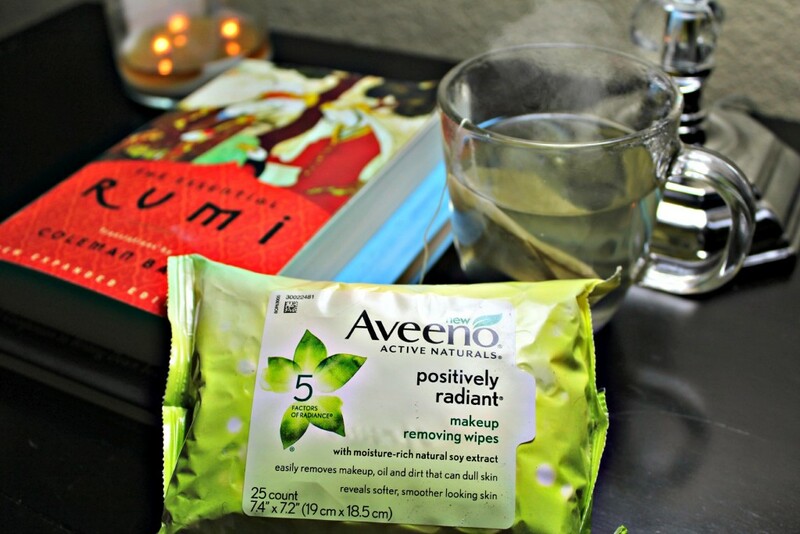 In order to keep myself from sleeping in my makeup (which is a bad beauty habit I need to break), I keep Aveeno® Positively Radiant® Makeup Removing Wipes in the drawer of my nightstand. They gently cleanse and nourish the skin with Active Naturals® Total Soy Complex, an ingredient long known to enhance skin’s radiance. They even remove eye makeup and waterproof mascara, all while smelling like a spa. 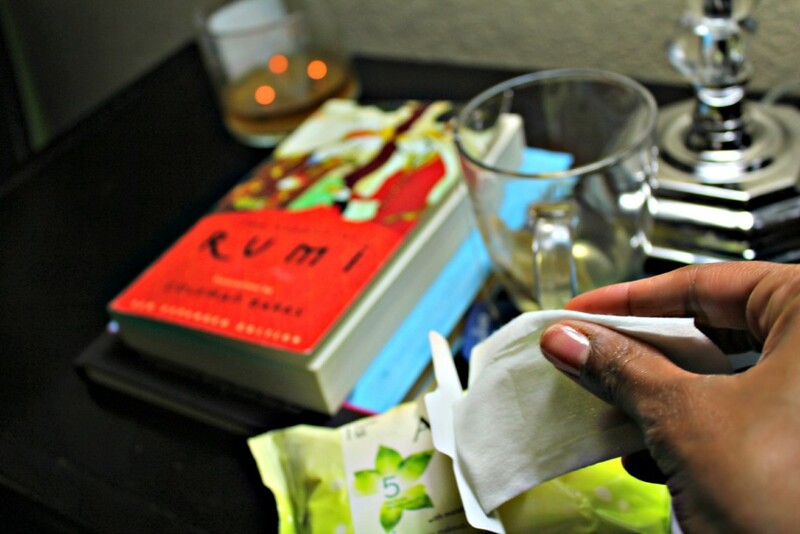 Aveeno® makeup wipes are the only brand I’ve tried that don’t irritate my sensitive skin. The amount of time you have for your bedtime is routine is nowhere near as important as the quality of that precious pre-slumber time so use what you’ve got! You’ll be rewarded with a rejuvenated body, happy spirit, and glowing skin in the morning.